Will celebrated his first year in New Zealand at the beginning of July - say what?! And we went big with the celebrations: We bought a car! If you've been following the blog for a while, you'll know that we've been footing it since moving to New Zealand in 2016. And, while walking everywhere for a whole year certainly had its challenges, it's an experience we'll cherish forever. It reminded us to be thankful for the small stuff and just how quickly we get lazy when blessed with little luxuries... Duly noted! But, having said that, we sure are excited about our new wheels! And, of course, about the places it will take us... So, without wasting any time, we set off on our first ever NZ road trip last weekend. 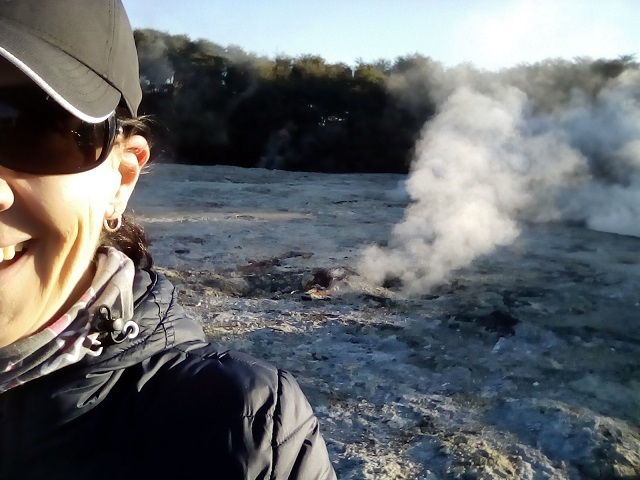 We headed up north to Rotorua and Taupo and man, it was incredible! The kids wanted to stay there forever (and a part of me did too...), so we'll definitely be back. No trip is, of course, complete without a visit to a new parkrun, right? 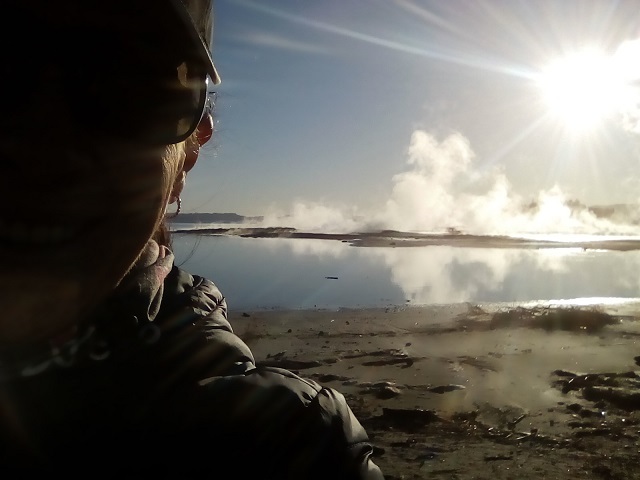 So on Saturday morning bright and early I snuck out of our hotel room in Rotorua while Will and the kids were still asleep. 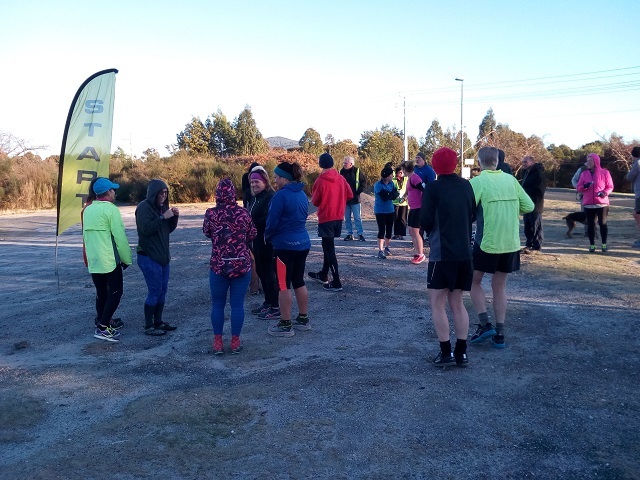 It was a frosty minus three degrees outside - a minor little detail that doesn't seem to necessitate wearing anything warmer than running shorts here in NZ. The Puarenga parkrun course is incredible! 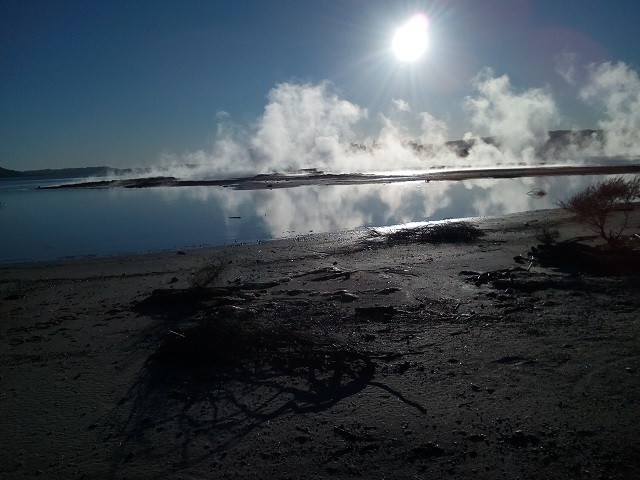 It's a two lapper that goes right through a geothermal area, with steam eerily rising from the ground and the smell of sulfur a constant reminder that you're not, in fact, dreaming. At one point in the course, you literally hop, skip and jump over and through the steamy, white, sulfur-rich mud. And yes, I still have the white, sulfury-smelling running shoes to prove it! I'm usually not a big fan of running a two lapper, but in this instance I didn't mind it one bit. In fact, it was a treat to run through all of Puarenga's surreal beauty for a second time! Plus, it provided ample photo opportunities... I can always shoot for a fast finish time on our next visit, right? Judging by one of the marshals' amazed comments when I ran past him, I'm assuming that my three layers of clothing, plus a buff, long tights and gloves were deemed a bit over the top for the "pleasant, sunshiny" running conditions. Perhaps I'll brave it in shorts next time...? Wow this sounds like an interesting experience! Thanks for sharing. Love the images. Thanks, Melissa! It really was amazing!